pulsFOG kicks the year off in Essen, northern Germany for the annual IPM trade exhibition in January 2017. 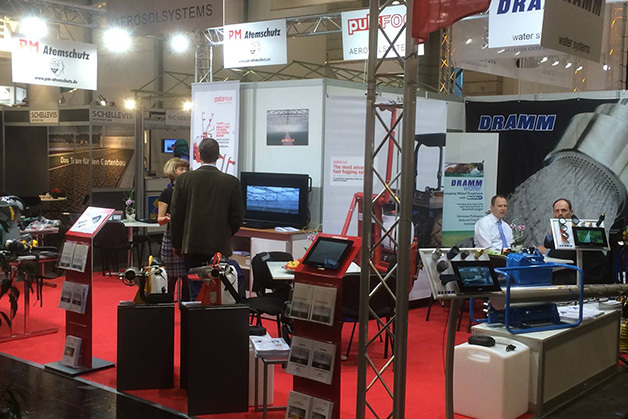 Partnering alongside Dramm and PM Atemschutz, pulsFOG is showing off our wide variety of thermal and cold foggers. IPM Essen is the leading exhibition for horticulture held 24-27 January, 2017. As the world's leading fair for horticulture, IPM Essen will host over 1,500 exhibitors from 49 countries and showcasing its products in over 100,000 m2 of exhibition space. New for IPM Essen 2017, along with the huge amount of products of nursery goods, plants, tools and technology, will be a high-quality supporting program. In addition to the established information forum called "The Green City", the future congress program entitled "Horticulture and Landscaping Outlooks" will take place during IPM ESSEN for the first time. If you are attending IPM Essen, pulsFOG will be presenting our products 24-27 January, 2017 in Hall 3.0, Booth 3C70, so please come by and visit us! You can also email info@pulsfog.com to schedule a time to learn more about pulsFOG’s vast product line and our newest products and technologies. As we say in Germany, "Nicht vergessen, besuchen sie uns in Essen!"